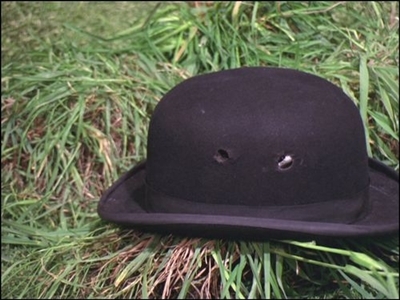 Sometimes John Steed's trusty bowler hat gets seriously damaged or destroyed while saving Steed's life. The worst time for the bowler is season 4 to season 6. 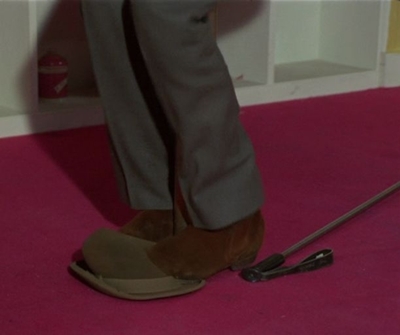 Its single painful experience in series 3 is that it gets misused for indoor golf by Steed and Mrs. Gale (also done in TNA). Death at Bargain Prices - got shot off (?) 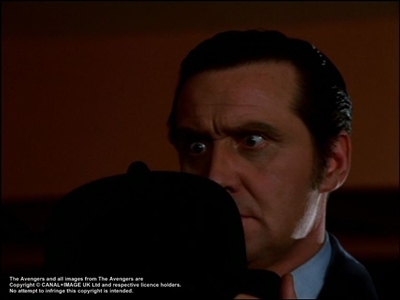 of Steed's head during the final fight. A Surfeit of H2O - squashed in a wine press. The Hour that Never Was - damaged, but a few punches brought it into shape. Small Game for Big Hunters - The bowler gets stabbed. 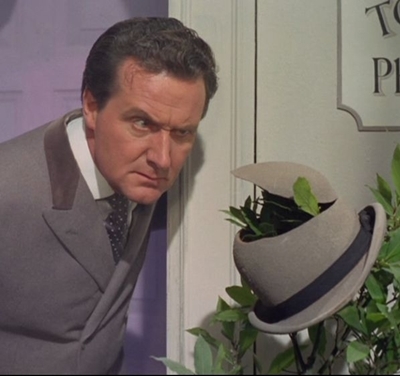 Quick-Quick Slow Death - scattered to the four winds and the streets in London, when Steed opened the door to the fake office. From Venus With Love - The bowler got bleached a lovely shade of white with the laser. The Fear Merchants - damaged during the fight in the gravel pit. The Bird Who Knew Too Much - destroyed in the explosion. 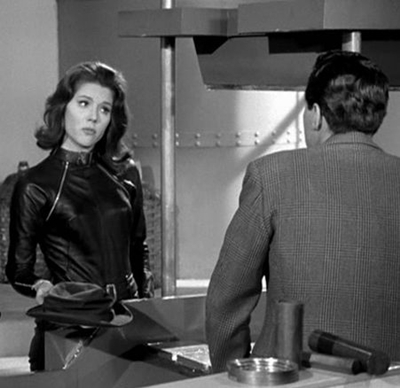 Death's Door - shot twice, while Steed is taking cover behind the fence. 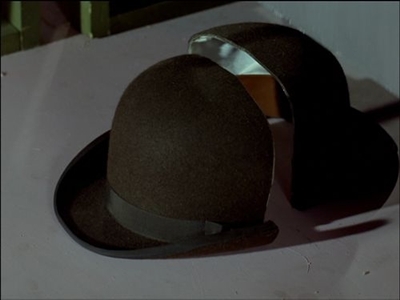 Game - cut in half. Whoever Shot Poor George Oblique Stroke XR40? 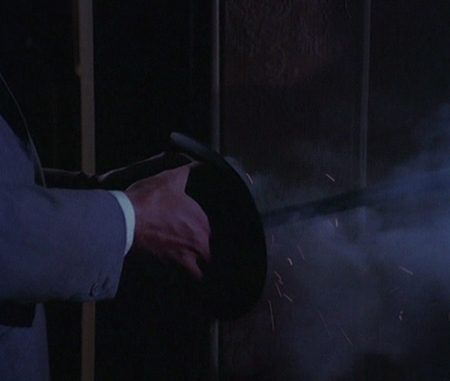 (similar scene as in The Tale of the Big Why) - Bowler gets shot with a gun. 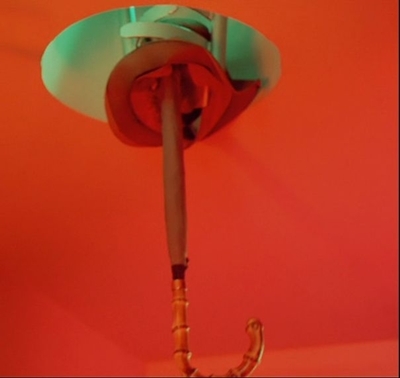 The Curious Case of the Countless Clues - He steps on it when sliding down Tara's fireman pole. Killer - squashed by Remak. 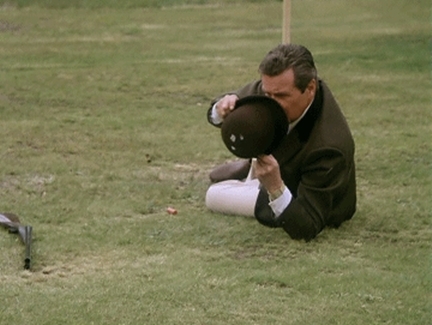 Homicide and Old Lace - Steed abandons his bowler in the "lab." 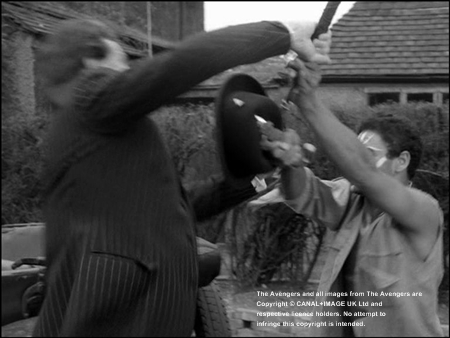 That's a bad time for the bowler in this episode! 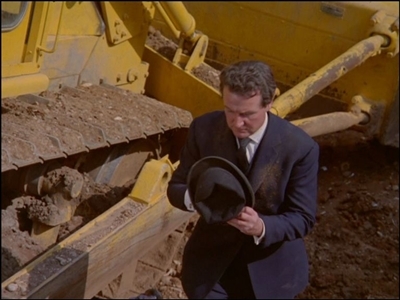 Later, Steed does not so much lose it as throw it away voluntarily when he and Gambit are hiking home after the Range Rover's put out of commission "...away bowler and brolly". 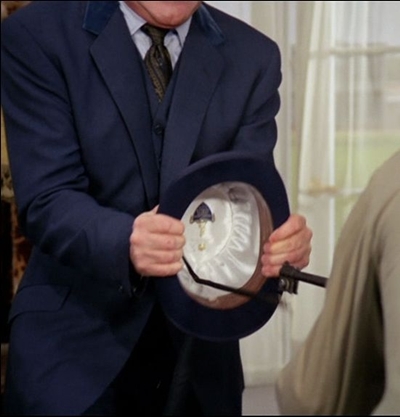 But it's a fake: Steed does not have a brolly but a cane, and he does not throw away a bowler but...something. TNA Angels of Death- gets shot three times. The bowler can destroy bayonets, but his true master Steed can easily punch it into shape in The Curious Case of the Countless Clues and The Hour That Never Was.